- The Legend of City Center: Ever been to City Center? Ever noticed a parking attendant always smiling and waving you through? Yup! The Legend of City Center, Mr Smooth, Gulzar Ahmed! We have a full interview with him, to find out what makes him smile! - Bahrain Win! 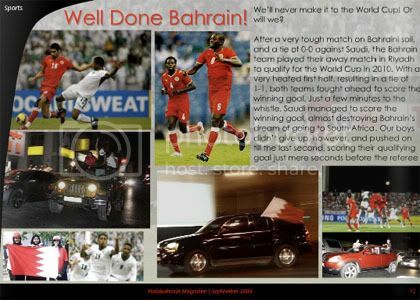 Yes, after a close match with Saudi, Bahrain wins and we are now that much closer to getting to the World Cup! 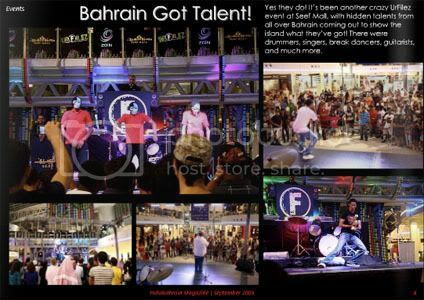 - Bahrain Talent Show: UrFilez hosts the Bahrain Got Talent show in Seef Mall, with rappers, singers, dancers, drummers and much more showing off their skills! - Also in this issue: An intro to Fashionaires, a showcase of Gergaoon this year, drifting and autocross at the BIC, and much more!